Newly Discovered and Finest Known Double Die Gold! Making coins isn't easy. First, you have to come up with a spectacular design. Then you have to engrave master dies. Finally, you have to transfer the images from the master dies to the striking dies. Any step in the process is potentially fraught with mishaps, and coin errors can occur at any stage. Some of the most sought-after errors occur in the last stage before striking, when the working dies are created from the masters. At this point a spectacular doubling of the coin's image can occur, giving the coins struck from the error dies an eerie double-vision effect. 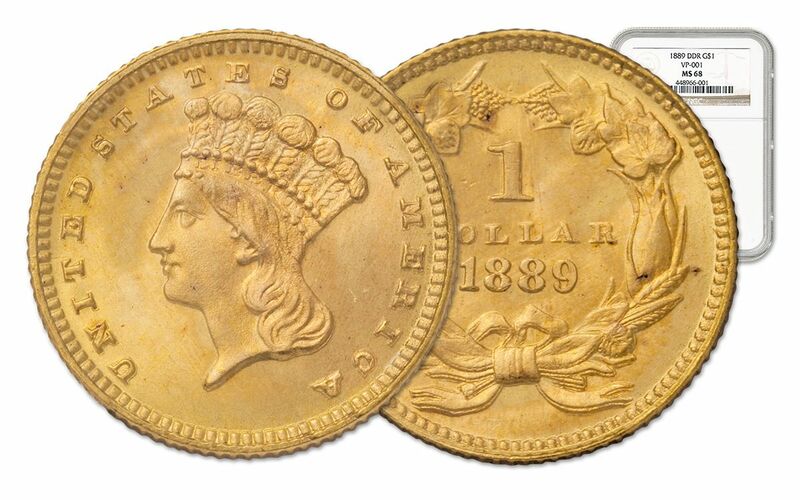 And that's what happened with this amazing 1889 $1 gold piece struck at the Philadelphia Mint. It happened on the reverse of the coin, where most of the wreath is strikingly doubled. This error has a lot going for it. 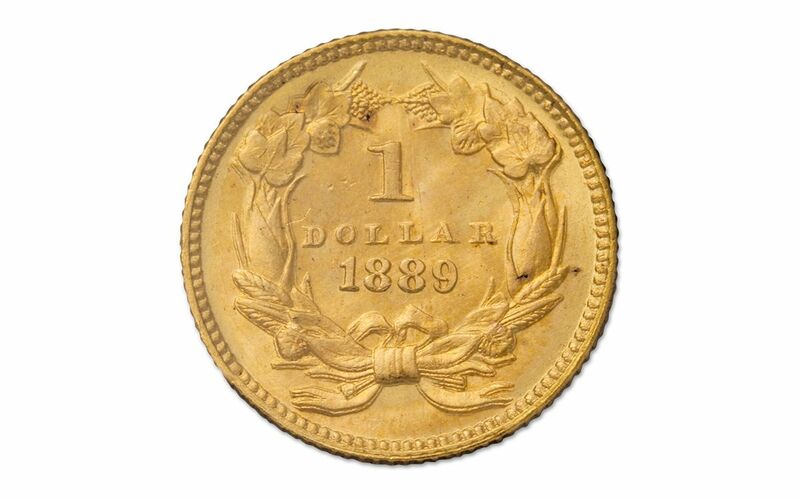 Gold coin errors are extremely scarce to start with. 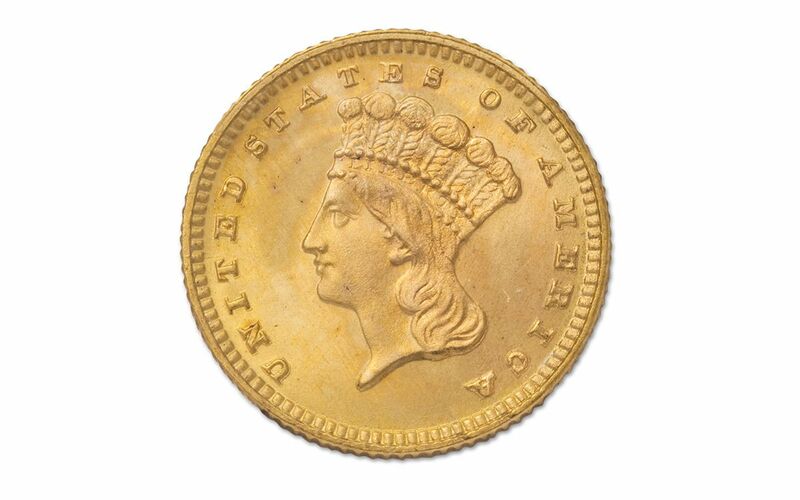 This 1889 $1 Indian Princess gold coin is the third and last type Gold Dollar struck by the U.S. Mint for circulation; and it's also the last year Gold Dollars were minted. 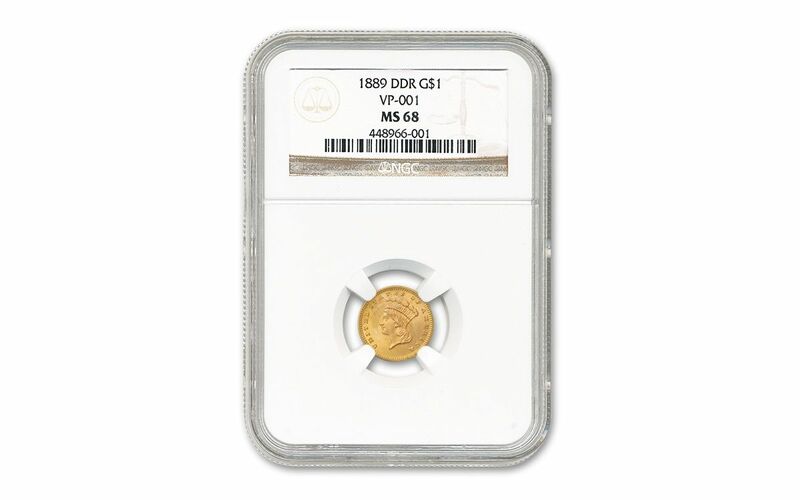 Not to mention the fact that it's graded Mint State-68 (MS68) by Numismatic Guaranty Corporation (NGC). NGC has graded over 1,870 1889 Philadelphia Mint Gold Dollars, and of these, this newly discovered example is the finest known Doubled Die! This top-flight prize won't last -- don't miss this chance to own a "finest known" gold error!